I watched the finale of the Harry Potter film franchise yesterday…finally. It really cut to the chase, starting with what we saw about Voldemort at the end of Deathly Hallows Part I. Then we see the trio making a deal with Griphook to break into Gringott’s to search the Bellatrix Lestrange vault for horcruxes. It is only when they make their way into Hogwarts through Hogsmeade, the battle we have been waiting for begins. My tear ducts let loose after Harry learnt the truth about Severus Snape and his patronus. The rolling credits were bittersweet – I wish they had not added the coda. To tell the truth, I wish J.K. Rowling had not added it to the book either. Harry Potter has so many memories: squabbling with my sister about who was to read it first, waiting in line of about 50 people at Big W after a book release, reading the old books and watching the old movies in a row in expectation of the next film and more. Although the Deathly Hallows was split into two parts, the film seemed to skim over the plot, especially the significance of the horcruxes and the backstory made for Dumbledore. The quickness of those 2.5 hours at the cinema astonished me. But it seems to have pleased enough people to garner more box office sales than Twilight on opening day. Nevertheless it had a satisfying conclusion for the eighth and final Harry Potter movie. Hermione is quite cute when she pretends to be the Dark Lord’s cohort in crime, Bellatrix Lestrange. The Room of Requirement scene with FiendFyre could have done with better explanation. It looks like a potent and destructive fire but its importance is not identified to the audience. So if you have actually read the books, this film will make sense. Otherwise, it will leave you scratching your head and puzzled. When Aberforth bitterly mentions Ariana, you would wonder why unless you knew Dumbledore had dabbled in dark magic himself. The war was poignant and the changes, which surprised me, were acceptable. But if you are uninitiated to Harry Potter, this will confuse you from start to finish. Verdict? It’s still an enjoyable movie to watch as long as you have some background and don’t mind the changes. Anyone going to seek comfort from the range of creepy Harry Potter newborn dolls? Were you ever fascinated with boarding school stories? My main introduction to them was through the Malory Towers series by Enid Blyton. My interest in them waned after I found myself reading about the exploits of the Wakefield twins, Jessica and Elizabeth, in middle school. Years afterwards, I’ve found myself reading another boarding school tale: the debut novel, Prep, by Curtis Sittenfield. Hollywood now has a movie for it in the works. Lee Fiora leaves her family in South Bend, Indiana, after receiving a scholarship to the prestigious Ault School, a boarding school in Massachusetts. The intelligent 14-year-old was partly seduced by glossy brochures that advertised boys in sweaters seated by old brick buildings, neatly uniformed girls holding lacrosse sticks on neatly manicured lawns and the vast, grand chapel. On arriving at her dorm, she instinctively realizes her background makes her an outsider and is both daunted and captivated by her classmates who consider being lower middle class as an insult. On the site for the author, I found a description of Prep, which described it as a “… dissection of class, race, and gender in a hothouse of adolescent angst and ambition”. This is an apt description although it made the protagonist seem petty in her desires. But then again this is a story about a teenager that finds shame in poverty who finds herself in the social circles of children of wealthy families. She gravitates towards other reclusive people for company but despite her cultivation of these friendships, Lee is critical of them. She adapts to the social system at Ault and keeps a low profile until her social place is developed enough to be accepted by the others. Unfortunately a secret romance starts to take precedence for her over everything else and it starts to make her question her friendship with Martha, her best friend and roommate. The relationship with her parents, especially her father, starts to crumble and causes family conflicts, she has disagreements with teachers and her grades begin to suffer and when an interview about Ault School with a journalist who twisted her words is published, her carefully crafted façade as an accepted senior is completely blown. It is quite easy to get tired of Lee’s lack of respect and self-esteem for herself but then a lot of people are insecure as teenagers in social interactions and crave belonging. Her obsession with basketball player Cross Sugarman on the other hand is annoying given the way he basically uses her. As a protagonist, Lee is not an easy one to identify with but her crises are familiar to all and in consequence makes Prep an interesting read. My Hercule Poirot and Marple episode searches as of late have yielded no results. I have watched most episodes starring David Suchet as Poirot and the Marple series with Julia McKenzie as Miss Marple. So now I have turned to Sherlock Holmes for my entertainment. Last week, what I watched was called The Man with the Twisted Lip. This case belongs in the The Return of Sherlock Holmes collection by Sir Arthur Conan Doyle. Neville St Clair is spotted by his wife in an establishment in Upper Swindon Lane; a home to opium dens, beggars and the generally destitute. She catches a glance of him through the window and he abruptly withdraws. Being of a brave temperament, the lady enters the premises and tries to go upstairs in search of her husband. She is prevented from gaining entry by an employee of Lascar origin. Undeterred she returns accompanied by the police to search for her missing husband. But the only occupant they find is a dirty but professional beggar by the name of Daniel Boone who lodges there. He seems to have a penchant for quoting literary figures such as Shakespeare and Wordsworth. Her persistence finally makes her realise that a box of building bricks that was promised to her daughter is in the room as is his clothes. During low tide, they also locate his overcoat weighted down with pennies. Daniel Boone is arrested for doing away with Neville St Clair. The lady engages Sherlock Holmes (played by Jeremy Brett) to find her missing husband. When Sherlock expresses he fears that her husband might be dead, she produces a recently delivered letter which assures her he is well and is accompanied with his signet ring. Dr. Watson (played by Edward Hardwicke in this episode) also asks if her husband could possibly have been an opium addict but she rejects this surmise. Sherlock Holmes finally stumbles upon the solution as he washes his face in a basin in the morning and tells Watson who has barely slept he wants to test a theory at dawn. His inkling about the whereabouts of the missing husband proves to be correct. So it turns out that The Man with the Twisted Lip was a case without even as much as a criminal. 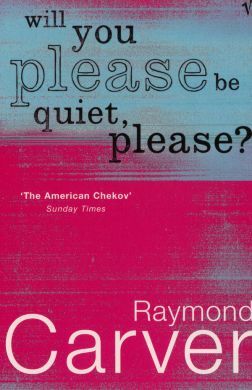 After watching Love Never Dies, I read this book of short stories of the above title by Raymond Carver on the one-hour train trip home. Given his status as a demigod of American Literature and staple diet of university literature courses, I wanted to know what was so amazing about his writing. To be honest, while I liked the short stories and the how he made the humdrum banality into a tale worth telling, it didn’t particularly strike me as a must read! Three of them which stood out to me was the one about the man who attempts to abandon his dog, the one in which the husband of a waitress has her diet to see what customers say about her appearance and the one about a mother who is frightened of her son who displayed a disposition towards violence. Al, the protagonist in ‘Jerry and Molly and Sam‘ is about him feeling that his life is about to fall apart. He feels that the loss of his job is impending at any given moment, he has had an affair and is terrified by how insecure it makes him, he has just rented a new apartment and worst of all, his sister-in-law had bought the kids a useless dog that pees on the household carpet. Thinking that getting rid of the dog might ease all the pressure he’s feeling, he decides to abandon the dog in his old neighbourhood where it would be adopted by a family that wouldn’t find it a burden. But when Al tries to leave the dog to fend for itself, he feels an inner turmoil as guilt bubbles in him. When he returns home, it is clear the dog is sorely missed by his kids. So he goes back to reclaim the dog, realising he can’t simply fix a problem by putting it somewhere else. ‘They’re not Your Husband‘ is another striking story about the marriage of a man to a woman who works as a waitress. He feels embarrassed when his wife is insulted by a pair of customers who make comments about her weight. So he gets her to go on a diet program and has her do exercises until she becomes a lot thinner. She comments her work mates have been worried about her rapid weight loss but her husband tells her they are not your husband. Carver’s writing does not glorify the human beings in his sparse short stories. His description of the main characters shows little mercy and brutal honesty but somehow he manages to grasp the stream of thoughts, feelings and events that led to the aftermath. Then her husband tries to see what the customers say about his wife after the transformation while he masquerades as a stranger. The story titled ‘Why, Honey?’ which was written in the format of a letter by a mother who had sought to hide herself from her miscreant son who has since become a famous politician; he has now unearthed her identity even though she had changed her name and moved away in the hope he would never find her again. The family cat, Trudy, had apparently been a victim of his cruel childhood prank where she was forced to have firecrackers explode in her ears and “you-know-what”. It is obvious the son has brought upon himself a reputation for being an accomplished liar; he lied about the amount of money he made at his part-time job, he lied about going to the show when he attended a dance and he lied about going on a field trip when he played truant. The most climactic moment comes when his mother asks him to tell the truth and he asks her to kneel. Given we only have the fearful mother’s perspective whose faith in her dishonest son is quite shaky, it’s a bone-chilling moment. Each story has its own individual trait but somehow appear to be interconnected by a common thread where each seems to communicate with the others. There might be merit in the approach taken by the film Short Cuts which rests on the belief all of Carver’s work is one storyline about occurrences. 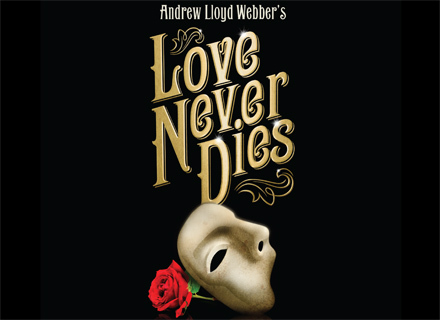 Love Never Dies, the sequel to the Phantom of the Opera, was a spectacular theatre performance in almost every aspect. Only being staged in a few select locations in the world, I was thrilled to be watching it at the Regent last night. The premiere performance of the show was attended by Andrew Lloyd Webber himself. Soon as I saw the magnificent and elaborate set which was complemented by skilful lighting and the Edwardian elegance of the setting, it took my breath away. Luckily my friend had secured some mid row seats which meant we had a fairly good view of the proceedings onstage. This performance had a darker atmosphere as it was set in a circus in Coney Island, New York – home to freaks, the grotesque, the sinister and the weird. Naturally, such a place being the abode of the disfigured phantom (played by Ben Lewis) made sense. His opening number, the emotion stirring ‘Till I Hear You Sing comes at the very beginning and its haunting melody lingers with you until the very end. We are first introduced to the circus called Mr. Phantasma by three narrators: a dwarf, a strong man and a tall man. They were framed by a large white phantom mask that encompassed the stage and glowed with a red eye. According to the storyline, Christine Daae (played by Anna O’Byrne) is apparently coming to America to conduct a performance for Mr. Hammerstein in order to pay off gambling debts incurred by her husband, Raoul (played by Simon Gleeson). But the mother of the star singer of the circus, Madam Giry (played by Maria Mercedes), who had smuggled the phantom of the opera to Coney Island from Paris knows the impending visit will only threaten the future of her daughter, Meg (played by Sharon Millerchip), the current star of the show who wants the attention of the phantom, the owner of the circus. When Christine and Raoul visit New York, they are accompanied by her ten-year-old son called Gustave (played by Kurtis Papadinis). He displays an astonishing talent with the composition of music and while he tries to get his father interested in his playing, Raoul shows no inclination or interest in his ability with the piano. He asks his mother if his father does not love him and she responds with a song asking him to see the love with his heart. Then after Raoul is summoned to conduct a business transaction with Mr. Hammerstein, the phantom visits Christine and then asks her to sing a song composed by him instead. This is when the phantom meets Gustave and is introduced by his mother as an old friend. It is only when the phantom hears the boy play the piano, he realises the boy has talents with striking resemblance to his own. Then he takes the boy to a place like another world where the song changes pace as it becomes a rock song called The Beauty Underneath which was a highlight, glass pyramid like rotating structures carrying mythic creatures inside spun on stage and the lights pulse in a bright orange glow. But it was too early to reveal the truth about his face to young Gustave, who recoils in horror. Meanwhile feeling ignored and unwanted, Raoul spends time getting drunk at the bar. In his drunken stupor, he takes on a challenge proposed by the phantom. If Christine does not sing, Raoul will be free to leave with her and all his debts repaid but if she chose to sing, it would mean Christine had selected the phantom instead. This disappointed me because it made the phantom into a villain, Christine into a deceptive wife and Raoul into an ill-used man who had been burdened with bringing up the son of another man. This interpretation is not perhaps the expected one. Unfortunately, Christine chose to sing, Raoul left her and she was reunited with phantom briefly until Meg’s jealous rage stepped in and she ran off with Gustave. When Meg finally had the attention of the phantom as she was on the brink of suicide, she tried to perform Bathing Beauty – which was a cheeky but cute number prior to the song by Christine. But the phantom as he tried to stop her made the mistake of telling her that not everyone was like Christine. Meg sets off the gun and the consequences ensure there would be no possibility of a sequel unless it was to be about Gustave. As she lies dying, his mother tells him the truth about his real father but he is at first hesitant to accept the fact. After he runs off to bring back Raoul, the phantom steps away to the side but the finale of the show is when Gustave gets brave enough to see the phantom without the mask. Since this story is different in its characterisation to the original by French author Gaston Leroux, while I was definitely surprised at the tragic ending, it pleased me the scheming machinations of the phantom ultimately got rid of the trouble-causing woman. Despite the storyline not living up to that of its predecessor, it is worthy of Broadway just for the visual design of the set and the theatricality of the deeply hued costumes.